Multi award winning screen prosthetics designer Neill Gorton has a high-profile career spanning 30 years. He co-directs internationally renowned company Millennium FX with Rob Mayor and created the event from his passion for education about the industry. 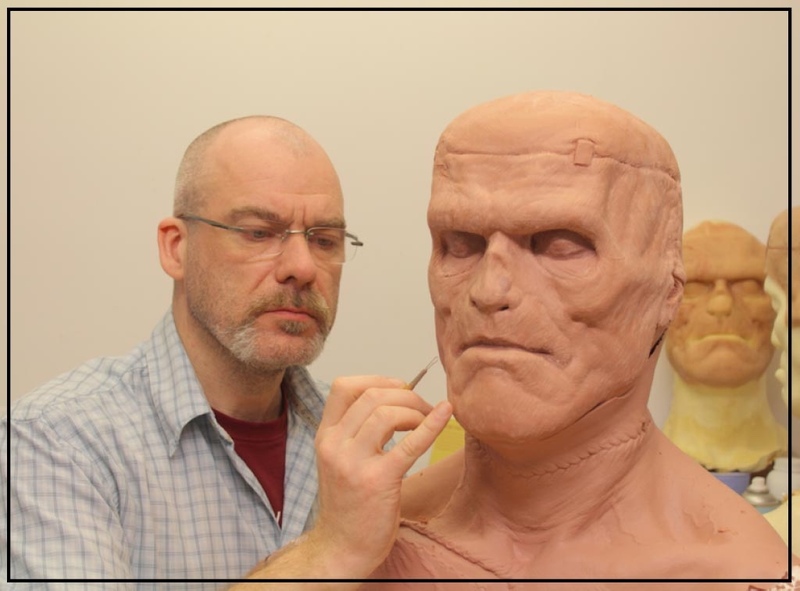 He also runs a successful prosthetics and makeup FX school, Gorton Studio, and last year launched Prosthetics Magazine. He will again be performing the role of MC at this year’s Prosthetics Event, and will be doing another major prosthetic application demo involving some industry colleagues on the Main Stage. Neill has worked on a host of films such as ‘Victor Frankenstein’, ‘The Wolfman’ and ‘Children of Men’ and is perhaps best known for his work TV on the revival of the BBC’s ‘Doctor Who’, for which he has designed the iconic monsters and make-up FX since its re-launch in 2005. His work in television has brought him 12 major industry awards, including eight Royal Television Society awards, three Welsh BAFTAs and a BAFTA Craft Award for his work on shows like ‘Doctor Who’, ‘Little Britain’ and Paul Whitehouse’s black comedies ‘Help’ and ‘Nurse’. He has also created comedy characters for the likes of Steve Coogan, Catherine Tate, French and Saunders, David Walliams, Paul Whitehouse, Harry Enfield, Matt Lucas, Bo-Selecta, Dom Joly, Peter Kay and most recently Tracey Ullman. Neill’s career began in Hollywood aged 18 on horror movie ‘The Unholy’ and he founded Millennium FX just over ten years later in 1999. He has worked with acclaimed directors such as Steven Spielberg, Alfonso Cuarón and Ridley Scott and on famous faces like Lady Gaga, Demi Moore and Johnny Depp, amongst many others. Neill’s film credits include movies such as ’Gravity’, ‘The Da Vinci Code’, ‘Gladiator’ and ‘Saving Private Ryan’, where he cast his own limbs for the infamous beach scene. The Prosthetics Event is one of Neill’s favourite times of year, as the event gives him the opportunity to educate those passionate about the industry, along with the help of many other leading practitioners.